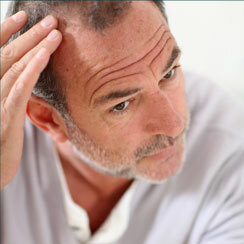 Hairfax has treated hair loss in Montreal and the surrounding areas for over 25 years. We provide our non-surgical replacement, minigraft transplants, and micrograft services to a number of other countries, as well, in order to accommodate our growing clientele. We use only the most advanced methods and technology available to provide the most satisfactory results possible. Our modern and inviting clinic will make you feel comfortable and relaxed right away. Our highly skilled specialists will work closely with you to find the best prevention treatment for you, and will follow up with comprehensive follow up care. Take a look at our products to help improve the look and volume of your hair. A consultation is offered to determine solutions that will help you get the results you expect. 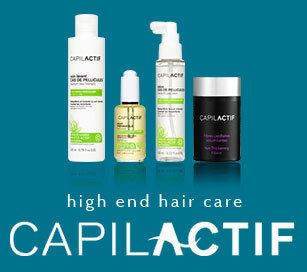 The CAPILACTIF hair care products combines the extraordinary properties of plants and the most effective agents to give to your hair beauty and strenght. Have you ever had to get up one morning and see your pillow covered with hair? This is a worrying situation, especially if you have an history of baldness problems in your family.